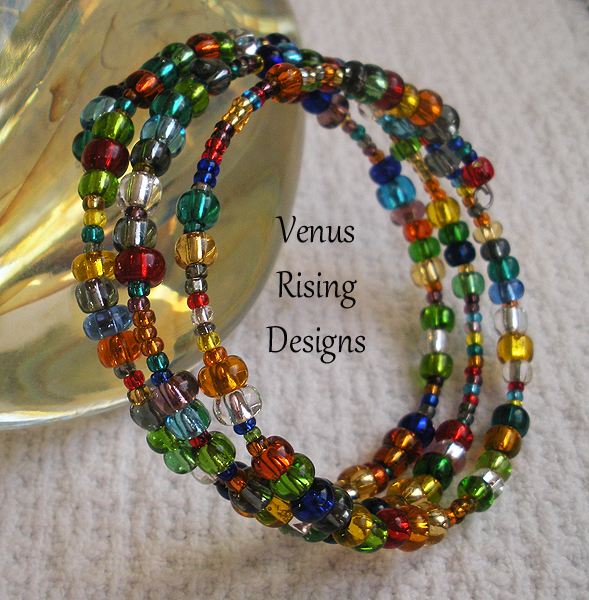 This colorful bracelet of Czech glass rondelles and memory wire is cheerful and goes with so many outfits. It's also soothing to play with! This bracelet comes in 3 approximate sizes (memory wire stretches, so sizes are based on the bracelets at their natural, unstretched state): ~5-3/4", ~7", and ~8". No two are the same.